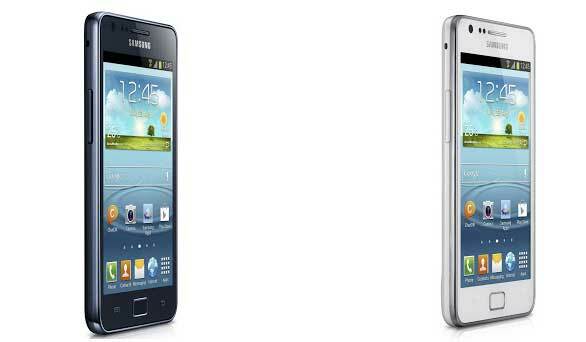 Samsung is not yet ready to let go of its renowned flagship Galaxy SII, so in order to keep it going they have released the Galaxy SII Plus. Looking back at Galaxy SII, launched in April 2011, it sure did manage to attract a lot of attention in the mobile market. The looks, features, apps, performance everything blended perfectly to give you this majestic smartphone. All these helped the phone grab the ‘SmartPhone of the Year 2012’ by the Mobile World Congress’s Global Mobile Awards and also received excellent ratings from various websites. After getting so much appreciation you just can’t consider it as the past, right? So here it is, Samsung Galaxy SII Plus, a whole new Galaxy SII revamped to meet your current requirements. The predecessor, Galaxy SII ran on Gingerbread (Android OS, v2.3.4) and then upgraded to Ice Cream Sandwich (v4.0.4) which was later upgradable to Jelly Bean (v4.1). The new Samsung Galaxy SII has been charged up with Jellybean (v4.1.2) which is basically the major difference. Apart from the OS, other noticeable differences are the internal memory of 8 GB which was previously 16 GB or 32 GB. The memory of Samsung Galaxy SII Plus is expandable up to 64 GB. There is also an optional NFC (near-field communication) which actually makes the phone a bit thicker (from 8.5mm to 8.9mm) and a bit heavier (from 116g to 121g) than its predecessor. Other than that, all the specifications are similar to the previous SII, like the 4.3 inch Super AMOLED Plus display protected by Corning Gorilla Glass, 1.2 GHz Dual Core Cortex-A9 processor with 1 GB RAM and Broadcomm GPU. The camera remains the same, 8 MP main (rear) camera with LED Flash and a 2 MP front camera; it has Buddy Photo Share, Group Facetag and Face Zoom options. The phone is also equipped with Bluetooth 3.0, USB 2.0, Wi-Fi and NFC which is optional as mentioned earlier. It’s equipped with the same battery power, 1650mAH Li-ion battery. 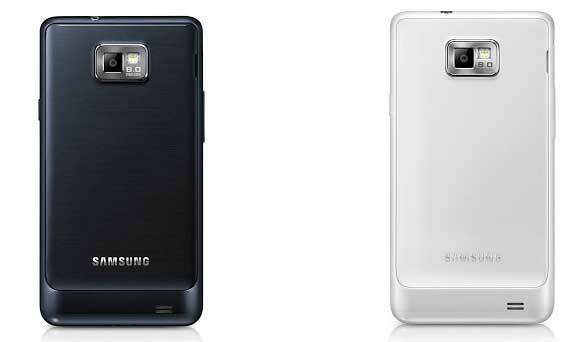 The SII Plus has also got the glossy plastic body,like the Galaxy SIII, and will be coming in white or blue. Similar to the SIII, SII plus has nature inspired user interface, TouchWiz Nature UX featuring Direct Call, Smart Stay, S Voice and lot more. With the Direct Call feature, the user can call directly by just placing the phone next to ear. The Smart Stay manages the screen to adjust itself according to the user’s eye movement like; looking away will make the screen dim. The S Voice can help the user unlock the phone apart from other activities that can be done through voice command. The user can also stay updated through Smart Alert feature which notifies the user for any missed events whenever the user picks up the phone. Other than these, you can also size and resize the videos and can also play the videos anywhere on the screen reducing the hassle of minimizing and maximizing. The price tag and the launch date of this phone are not yet known but we can conclude that the Samsung Galaxy SII Plus is an evolution made perfectly for those who did not want to change their good old phone which will now be available with an upgraded version retaining the same old look. Previously, Samsung has launched the successor of Galaxy S that is Galaxy S Plus in 2011.